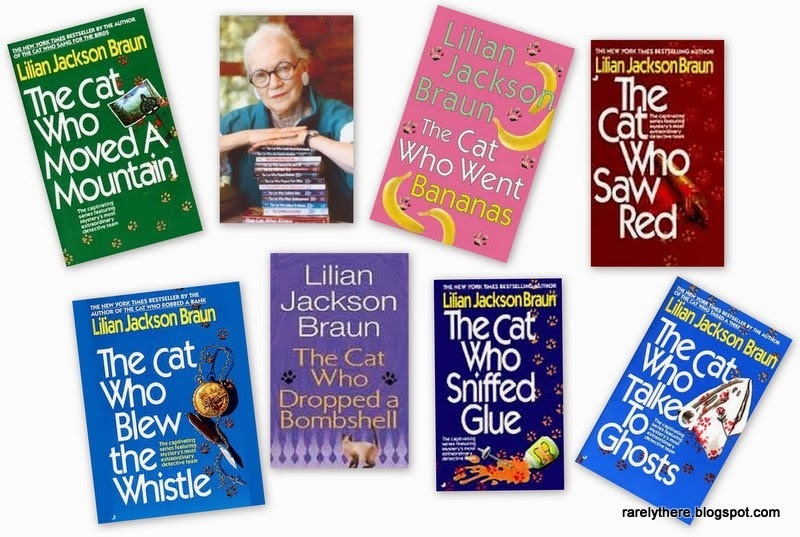 Quite by accident, I came upon a pile of Lilian Jackson Braun's books and loved the first one I picked up at random, The Cat Who Went Into The Closet (15th book in the series). It is no secret that I love cats. And, with prescient Siamese Koko and Yum Yum, Ms. Braun has hooked in the cat lovers with ease. James MacIntosh Qwilleran is a fine character developed from a recovering alcoholic to a prim and proper newspaper columnist who just happens to be a millionaire, thanks to an inheritance which he diverts sensibly for charitable causes, mostly anonymously. Qwilleran aka Qwill and his intuitive Siamese cats, Yum Yum and Koko, investigate odd incidents near and far in Moose County, "400 miles north of everywhere." The books can be loosely termed as mysteries, but some are rather meandering and dull. However, the writing is never dull. The daily life of this quiet place and the nice people seem to be plagued by unsavory criminal incidents which Qwill, as an amateur sleuth, tries to solve. Of course, Koko and Yum Yum are the real solvers - they turn up clues and evidence, without which Qwill can't dream of closing up the case. Along the way, cat lovers are treated to the comfortable pleasures of detailed descriptions of typical cat behavior that endears them to the said cat lovers. I found only a handful to be true mysteries worth investigating; and the solution seemed pretty droll, sometimes rather far-fetched. But, Moose County and Pickax seems like a place I'd like to spend a quiet retirement vacation, preferably in summer. Next on my list to read: “The Cat Who Killed Lilian Jackson Braun” by Robert Kaplow.